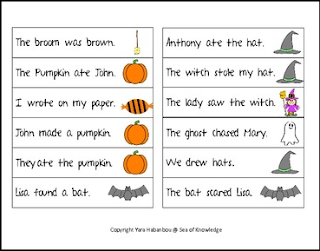 This free activity is geared towards reinforcing and recognizing the use of verbs and subjects in sentences. 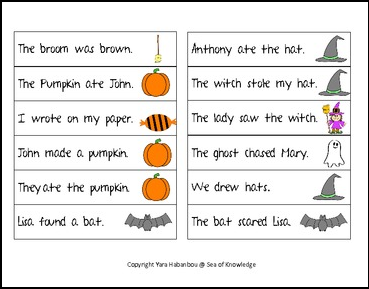 The sentences are fun and unusual centered around Halloween. Students will play a flashcard game with the teacher to build vocabulary. They will then receive a copy of the sentences, then chart and record their responses to identify and sort the verbs and subjects in their own columns. Teachers can use this acitivity in numerous ways to support literacy learning. Hope you enjoy this!